Click to watch the new how-to videos. 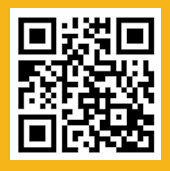 Quick Response (QR) codes and a mobile website. Earlier this month, QUIKRETE launched 18 new how-to videos on projects ranging from Pouring & Finishing Concrete Slabs to Building a Block Wall to Repairing & Sealing Cracks in Concrete. 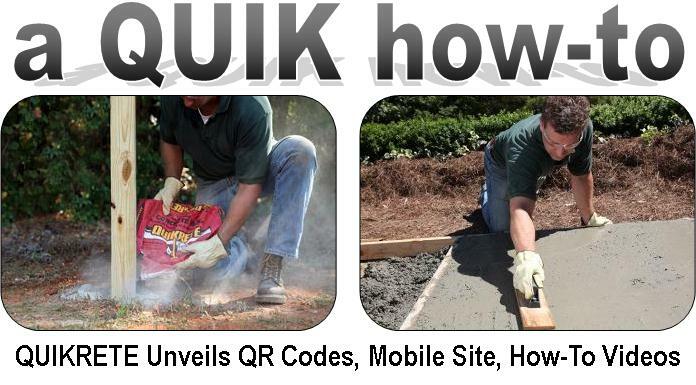 The videos are designed to make users feel comfortable tackling concrete projects and are now available on QUIKRETE.com, the new mobile website and QR codes located on advertisements and on retailer bin tags everywhere QUIKRETE is sold. QR codes are paper-based hyperlinks that can be scanned with smartphone cameras to open text, photos, websites and videos in a mobile browser. Once the code is scanned with a pre-downloaded application, users will have instant access to a how-to video featuring the steps needed to complete a project with QUIKRETE. At the completion of the video, users will be directed to project instructions, a quantity calculator and a shopping list. The new mobile site is accessible by entering mvideos.QUIKRETE.com into a smartphone internet browser. A concrete patio is an easy way to expand your home's outdoor living space, and it can stand up to years of weathering and use. A concrete patio can be a gray, utilitarian slab, or it can be a highly decorative focal point of any backyard living environment. By including a decorative finishing technique in your plans - such as exposed aggregates or etching with acid stain - the design options are virtually unlimited. In addition, a concrete patio can serve as a subbase for a mortared patio built with flagstone, tile or pavers. Click here for more information and step-by-step instructions. SEE ALSO : Make old, worn or spalled concrete look new. SEE ALSO : More projects around the house. Minor blemishes like small cracks can be repaired without resurfacing. 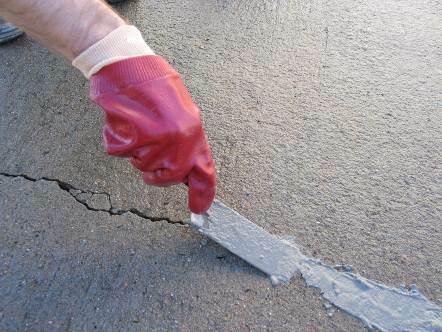 Instead, try using a patching material such as QUIKRETE Concrete Patching Compound. Available in a ready-to-apply putty, the patching compound is ideal for minor repairs like small non-structural cracks and spalling less than 1/4 inch think. Homeowners also can find polymer-modified compounds that bond directly to the concrete surface for a smooth repair. These compounds are self-bonding and -curing so no additives are needed. 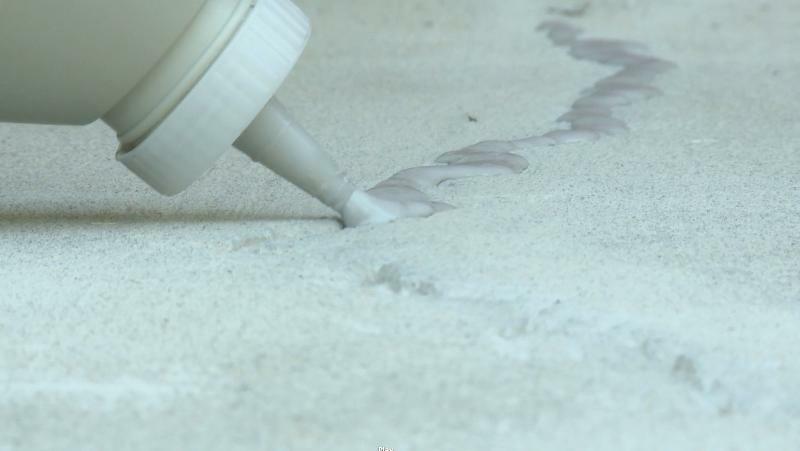 Another option for cracks less than a half inch wide is QUIKRETE Concrete Crack Seal, which comes in a quart bottle that makes it easy to pour directly into the crack. Dry to the touch within 30 minutes, the sealant maintains adhesion through freeze/thaw cycles. Larger cracks may require a more flexible polyurethane sealant with increased bonding power and durability. For more project ideas and information on concrete maintenance and repair, check out www.quikrete.com. The sealant dries to a durable and permanently flexible finish and is textured to blend with concrete surfaces, thereby avoiding unsightly repairs. QUIKRETE Polyurethane Concrete Crack Sealant offers excellent adhesion and helps prevent damage caused by water and ice. To apply, first clean and dry the repair surface to make sure it is free of loose particles. Cut the tip of the 10 ounce caulking tube at an angle to make a 1/4 inch to 3/8 inch hole. Insert the cartridge into a standard caulk gun and apply by pushing the cartridge tip over the repair surface and force the caulk into the crack. The repair will be tack free in two hours and remain permanently flexible.